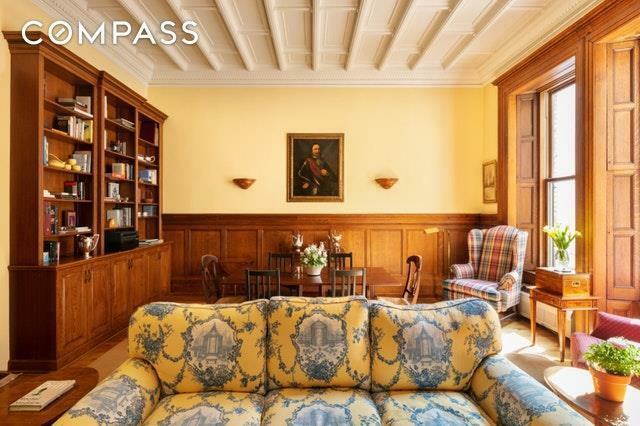 An opportunity like this has not come to market in over a decade. 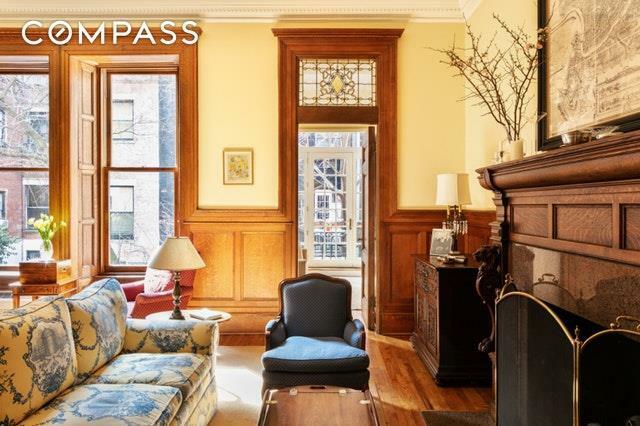 The entire Parlor floor of a 23 ft wide 1890s Neo Grec/Renaissance Revival Brownstone is available for a lucky new buyer. 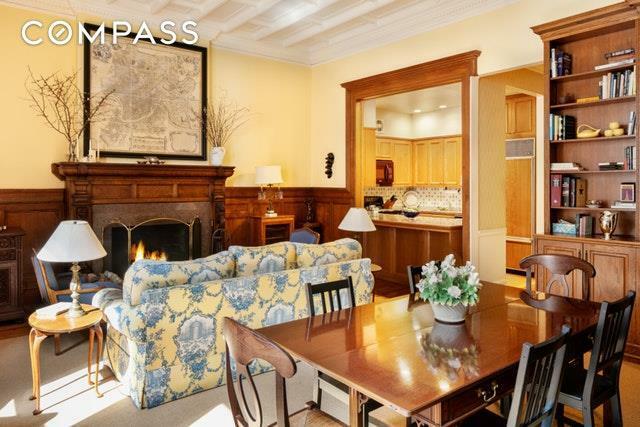 Located on a spectacular tree lined block and gorgeous contiguous brownstone townhouses that one would dream as how all of the Upper West Side once was or as it should be. 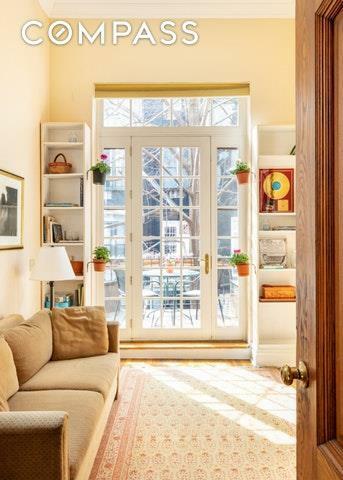 Located just half a block from Central Park and five short blocks to Lincoln Center. The volume and proportions are truly impressive. The sunny, south facing living room with verdant gardens views and wood burning fireplace provide comfort with a true sense of home.With seating for six, move the dinner party out to the sizable rear deck and front row seats overlooking open gardens of the surrounding townhouses.Laden with MINT original details such as coffered ceiling and coffered wainscoting, dental moldings, grand plaster medallion, just to name a few. The sizeable kitchen has plenty of space for two to work, open breakfast bar, dishwasher and a Sub Zero fridge. There is a king-sized master bedroom with a gas fireplace, lots storage space fit out by California Closets, 8 foot windows with original pocket shutters. The second bedroom can fit a queen bed or bunk beds.The large bath has a sizeable vanity with excellent storage and also includes a Washer and Dryer. A half bath can be added to the apartment. Sorry no dogs. Listing courtesy of John Chubet of Compass.